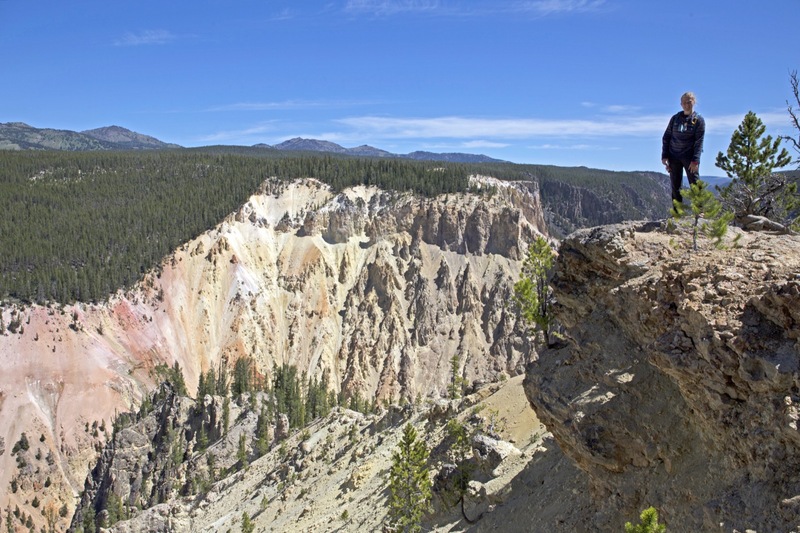 Discover the many natural wonders that make Yellowstone a world-renowned treasure. Endless geysers, thermal pools, mountains, lakes and canyons stretching on to the horizon. You will visit memorable places such as the Grand Canyon of Yellowstone, Norris Geyser Basin, Old Faithful, Lewis Lake, and many others most visitors never see! 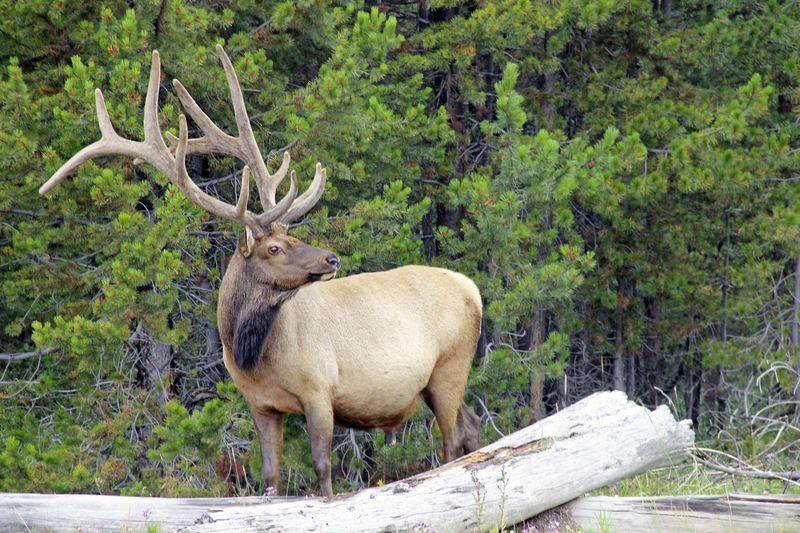 Bring your camera as bison, elk, and other wildlife abound. 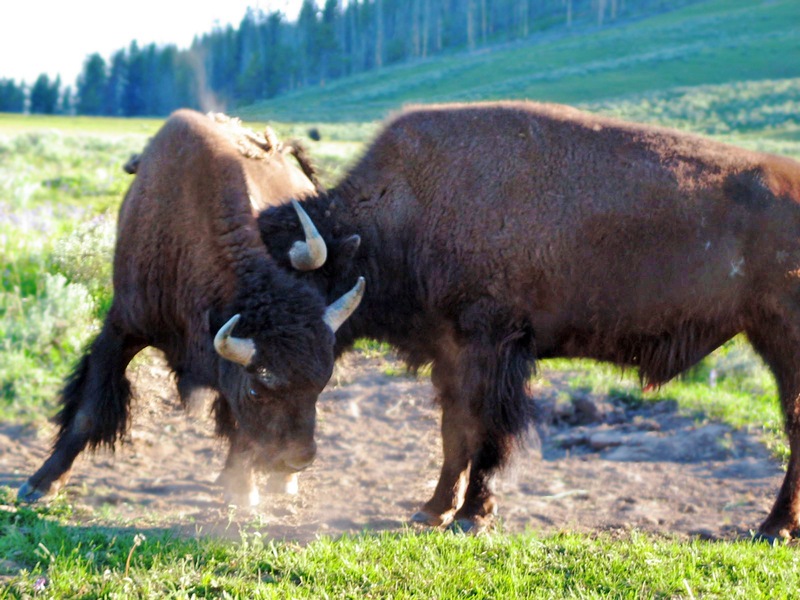 You may even catch a glimpse of a wolf pack on the hunt in Hayden Valley. 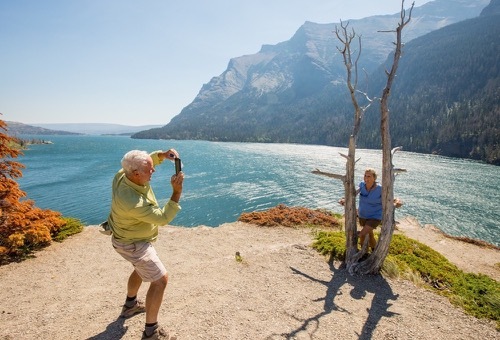 Experience Yellowstone in all its glory while paddling on the alpine lakes and hiking to remote and pristine vistas. You will enjoy all of this from a comfortable base camp, complete with modern facilities. 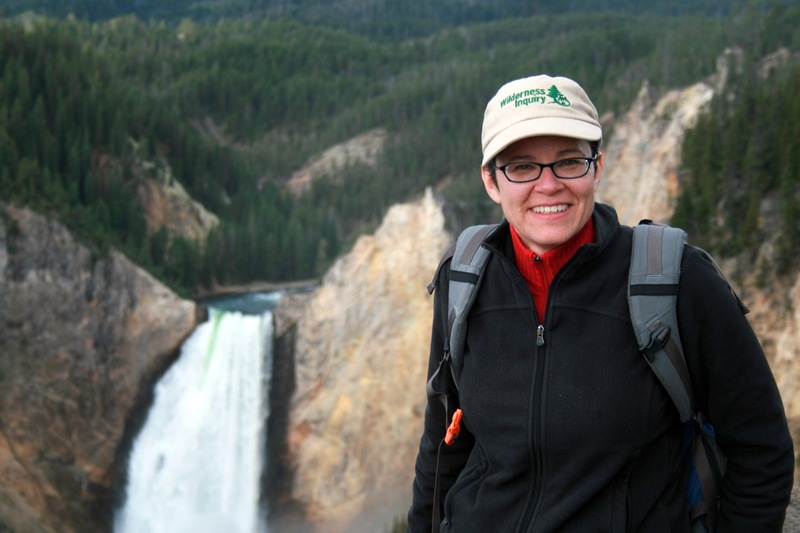 Day 1: Welcome to Yellowstone, America's first national park! 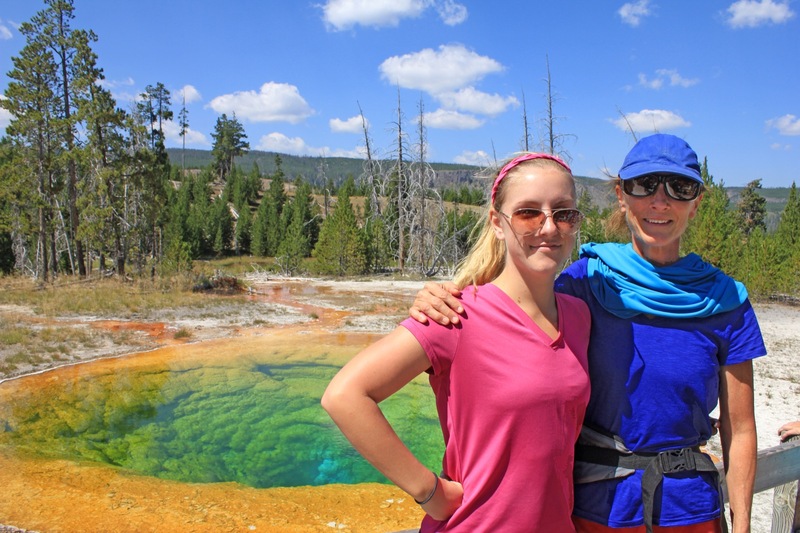 Day 2: Visit the Midway Geyser Basin followed by an afternoon hike. After a hearty camp breakfast take off for a sightseeing tour of Yellowstone. 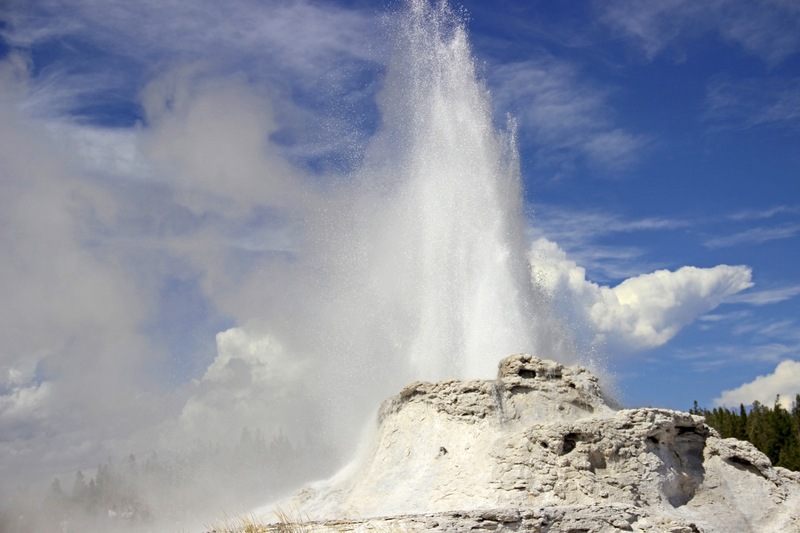 Get acquainted with some of Yellowstone’s geothermal activity at the Midway Geyser Basin. 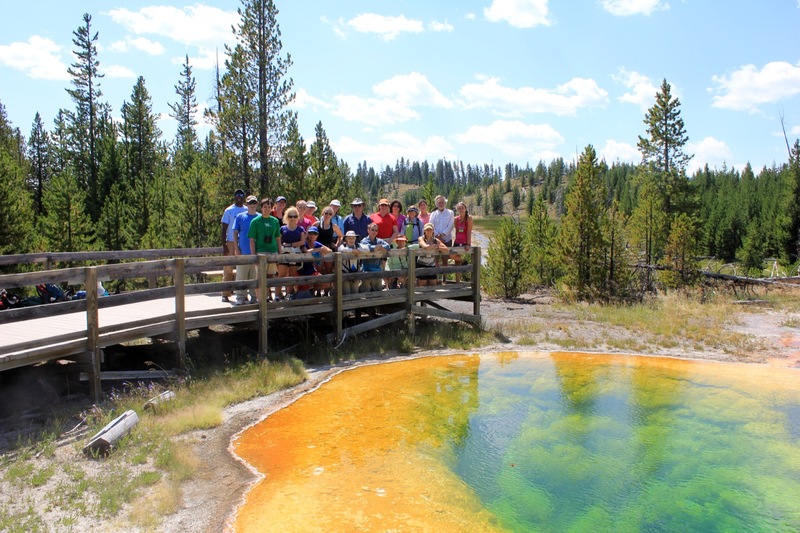 Take in the vibrant colors of Grand Prismatic Spring and other hot springs in the area. Choose a hiking option for the afternoon that could include Fairy Falls, Mystic Falls or Old Faithful! Day 3: Take in the stunning views from the seat of our 24-foot Voyageur Canoes on Yellowstone Lake. 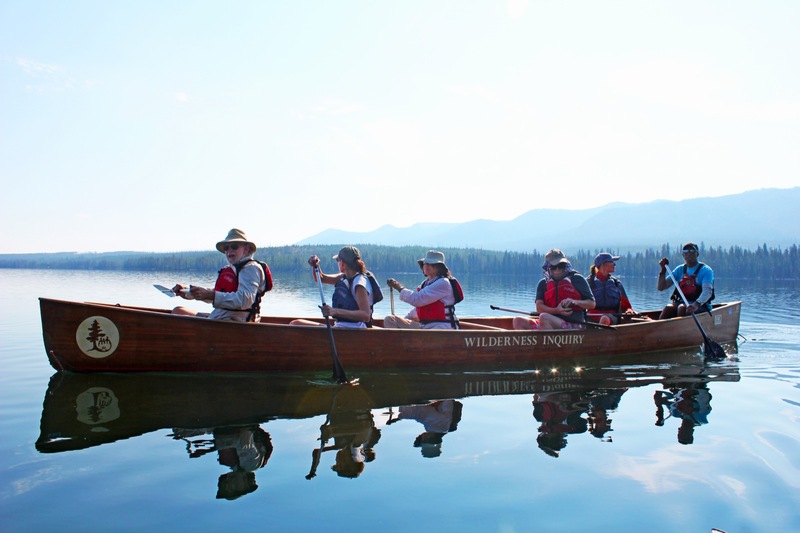 Paddle with the group in a 24-foot Voyageur Canoes on the west thumb of Yellowstone Lake. Head up the western shore looking for elk and osprey. Don't forget to look for a unique view of the geysers from the water! Enjoy a picnic lunch along the lake and prepare for an afternoon hike. 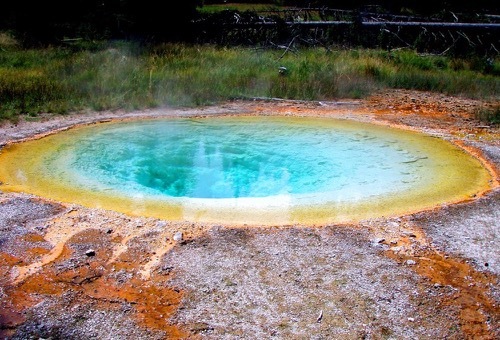 One option could include Lonestar Geyser. 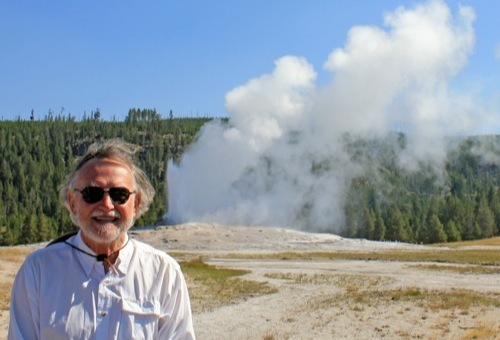 Nearly as predictable as Old Faithful, this geyser is off the beaten path in the midst of a beautiful forest. Day 4: Search for wildlife in Hayden Valley before heading to the "Grand Canyon" of Yellowstone. Begin the day at the Mud Volcanoes where acid and hot water are turning the earth into roiling mud pots. 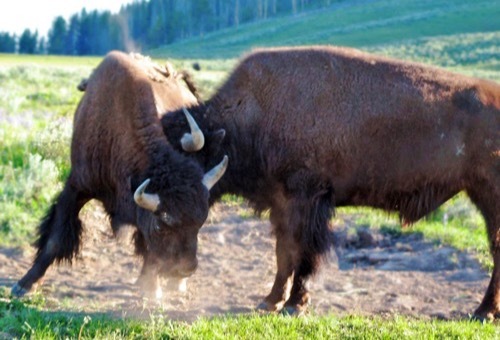 Travel through beautiful Hayden Valley to look for bison, wolves, and bears. 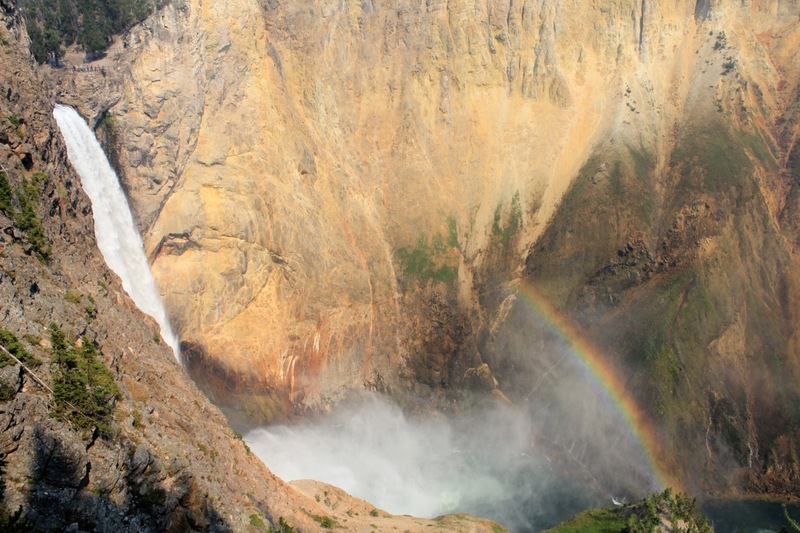 Finally, drive to the "Grand Canyon" of Yellowstone where there are breathtaking views of the upper and lower falls. 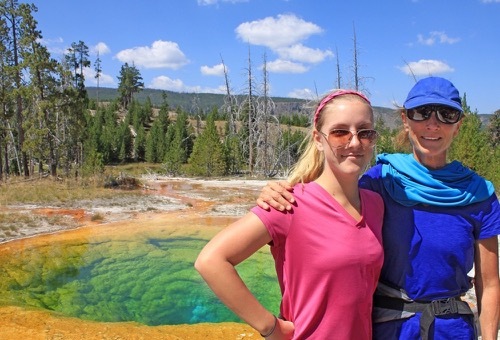 Day 5: Trek amongst geothermal features, waterfalls, and dense forests before enjoying a swim in the Firehole River. 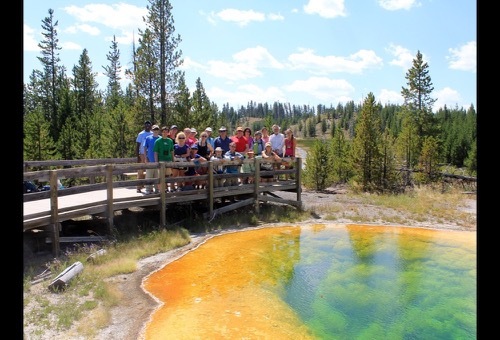 Today tour a mix of unique areas in Yellowstone. 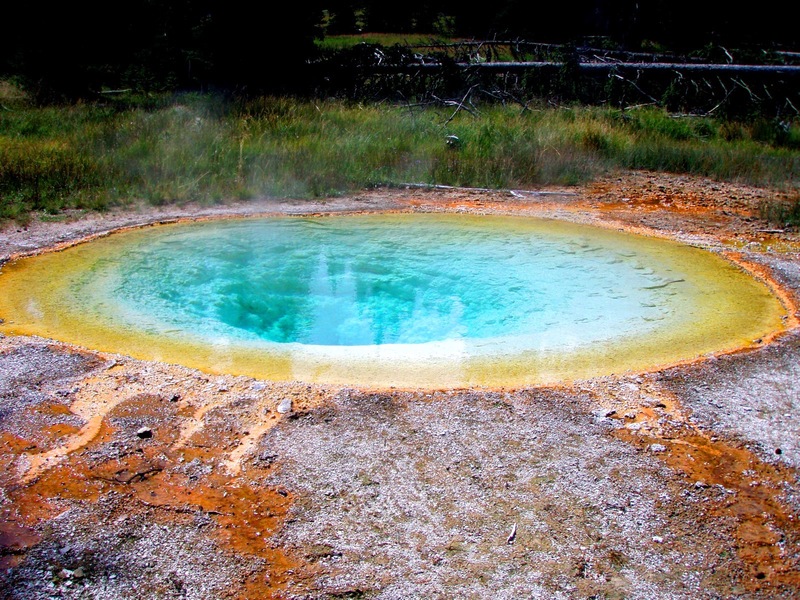 There are many hiking options that include exploring geothermal features, waterfalls, and forests! 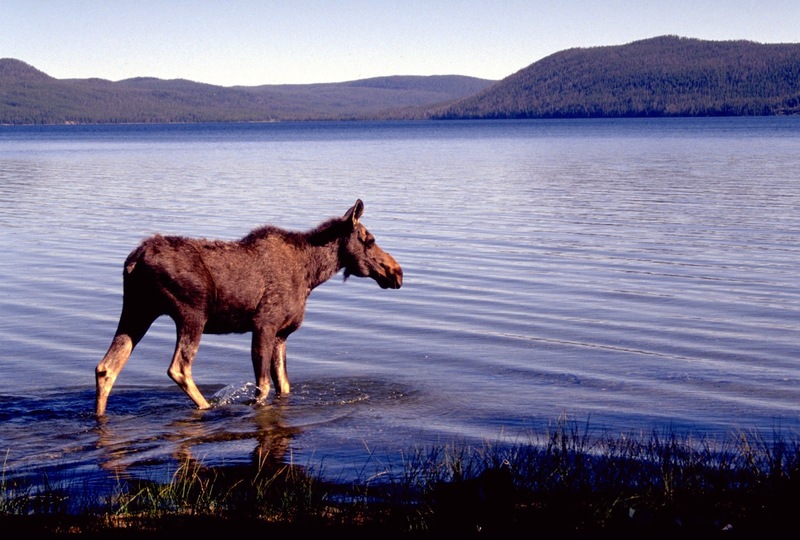 After a tasty lunch, enjoy a swim in the Firehole River. Enjoy one last evening relaxing around the campfire and taking in the beauty of the night sky. Day 6: Pack up camp before saying farewell to your trip mates. Pack up camp and enjoy one last adventure before bidding everyone goodbye. The trip officially ends in the early afternoon after lunch. If traveling in the WI van, you can expect to return to Billings by evening. MEALS: Enjoy preparing meals together in our base camp kitchens using fresh, healthy ingredients for bountiful dishes. Rise to the smell of freshly brewed coffee to enjoy with your breakfast. Each morning we will pack picnic lunches with hearty snacks before heading off to explore. In the evening, we’ll prepare our dinner and dessert together over stoves and campfires. If you have special dietary restrictions be sure to list them on your registration. 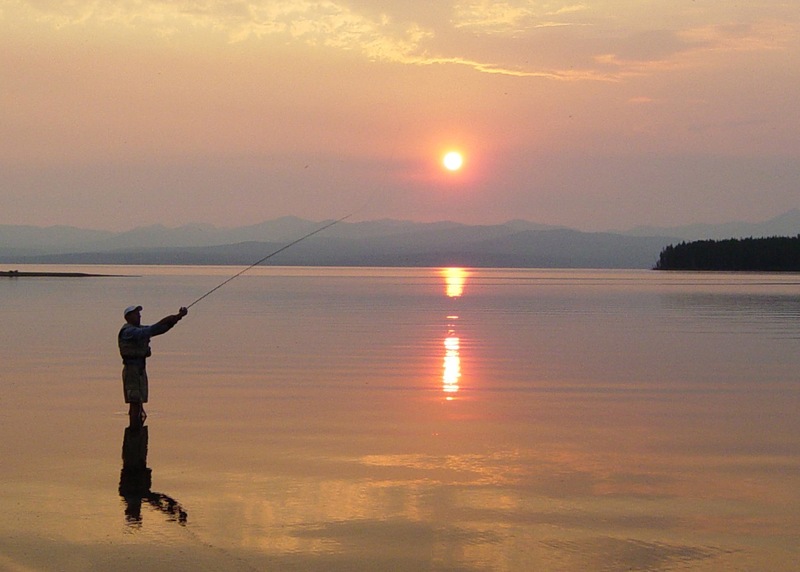 FISHING: Cutthroat and Lake trout thrive in Yellowstone Lake, however if you want to try your luck, you must obtain a permit from the National Park Service at http://www.nps.gov/yell/planyourvisit/fishingpermits.htm. You would also need to provide your own fishing equipment.